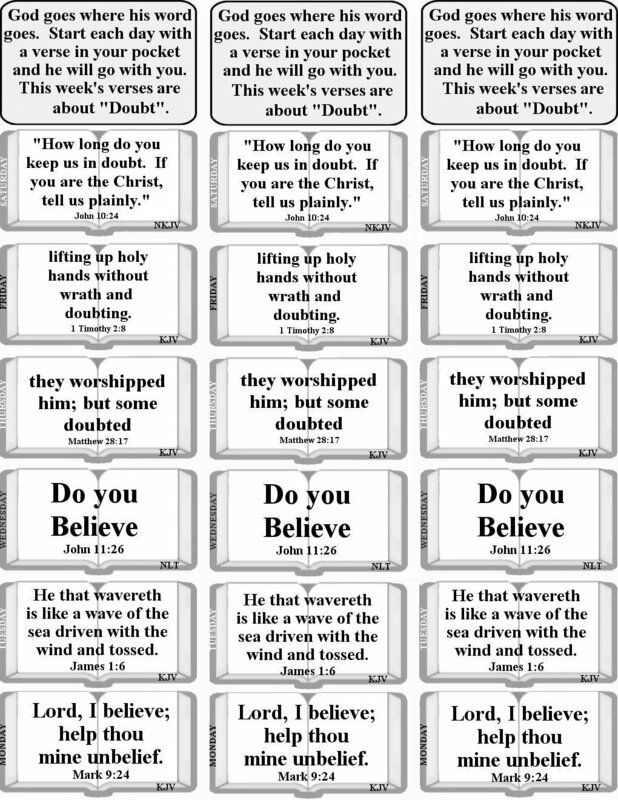 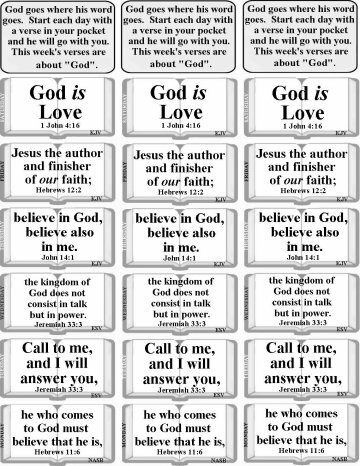 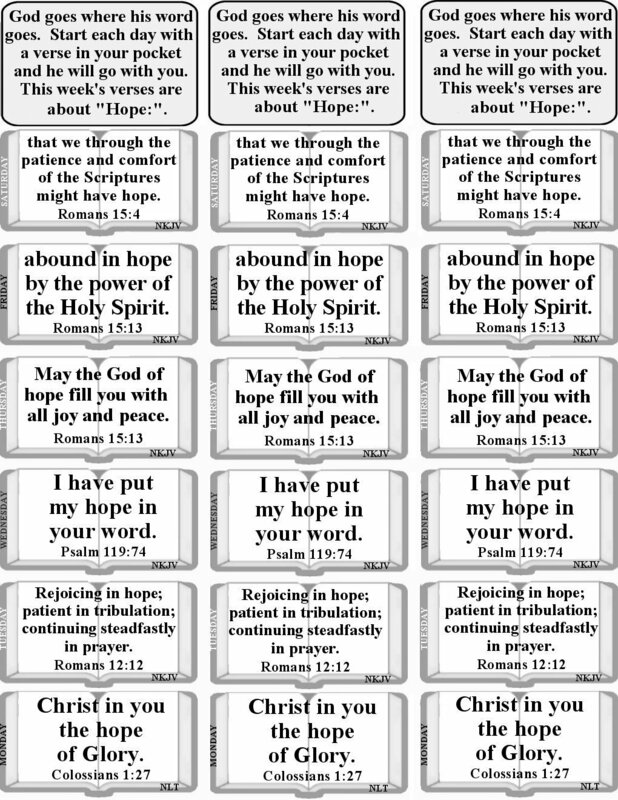 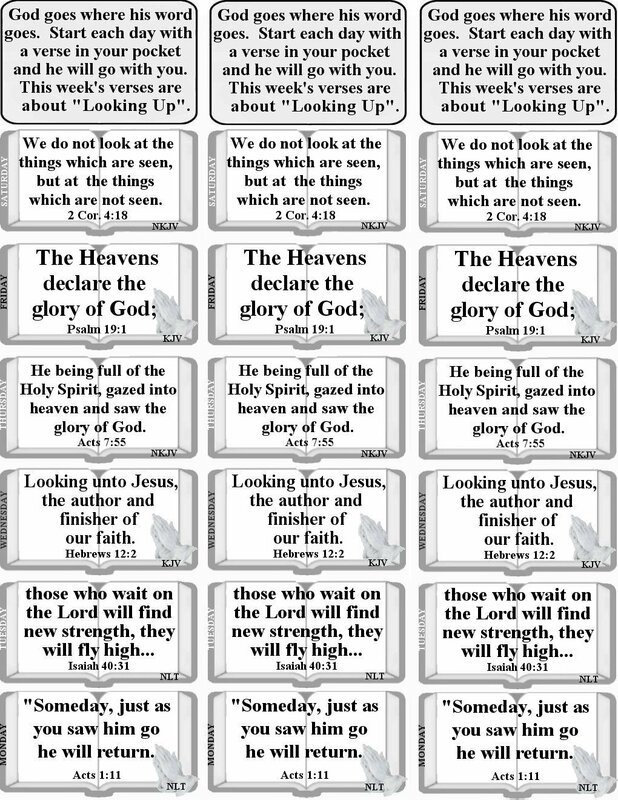 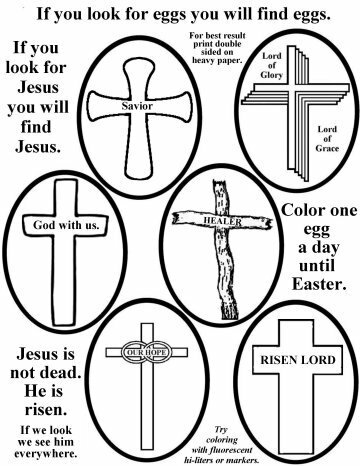 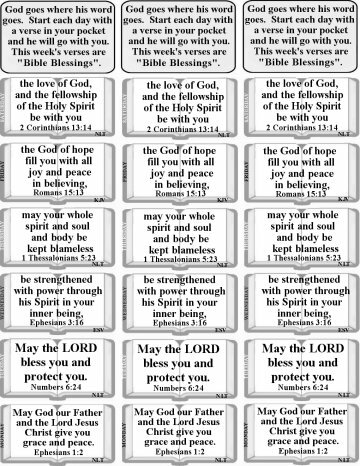 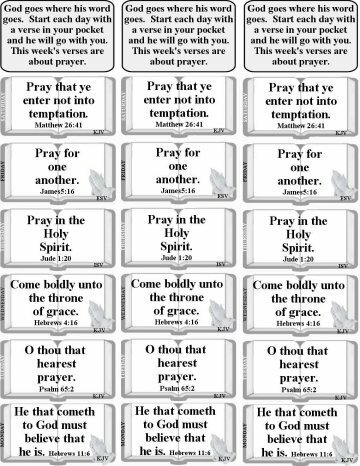 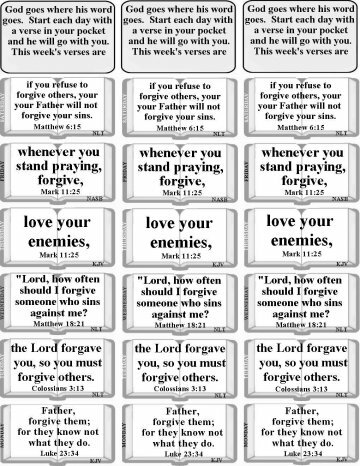 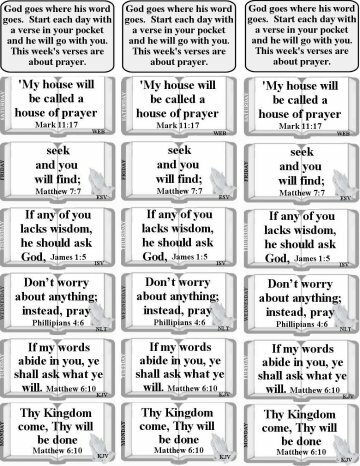 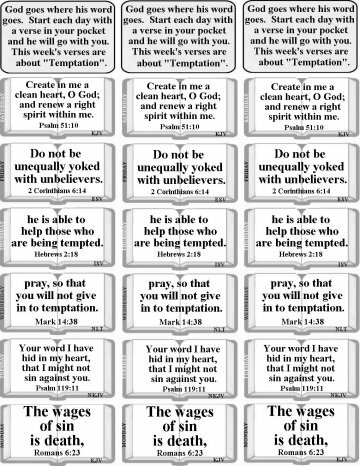 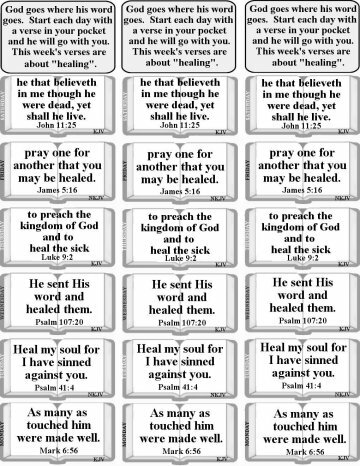 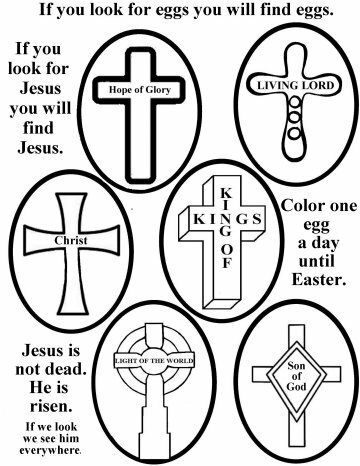 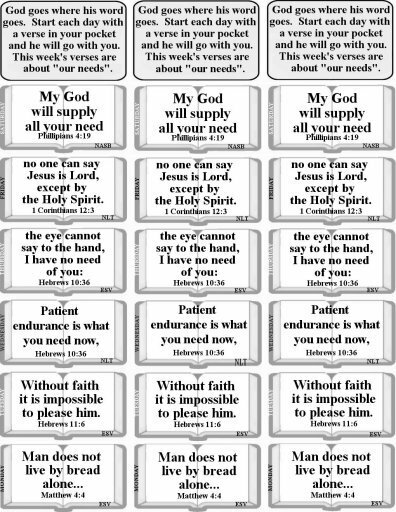 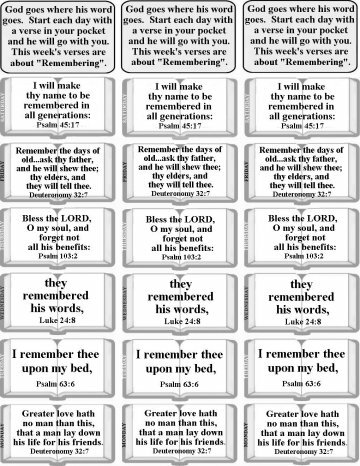 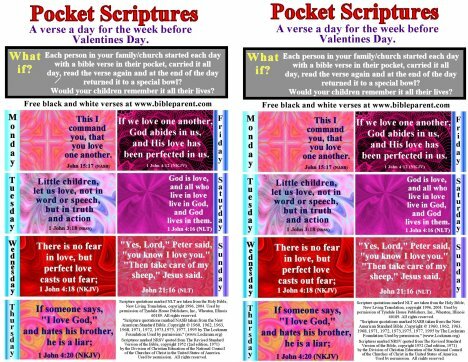 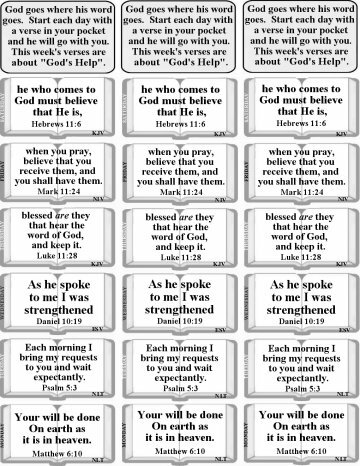 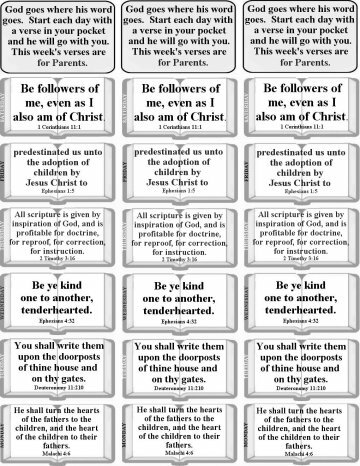 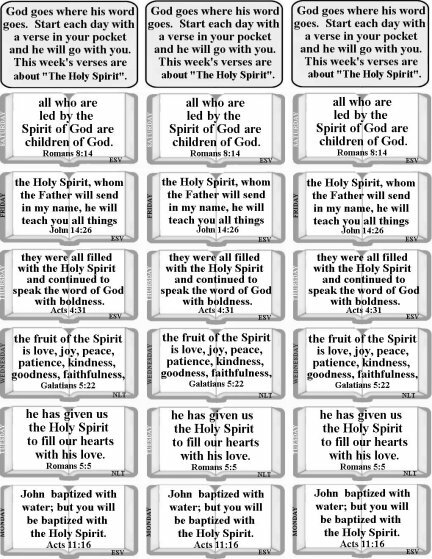 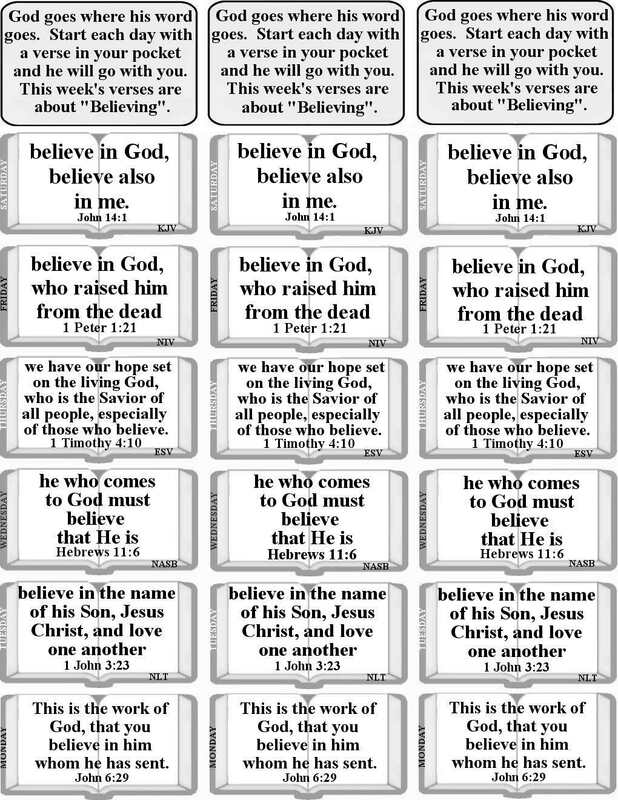 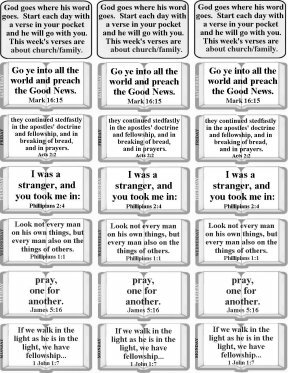 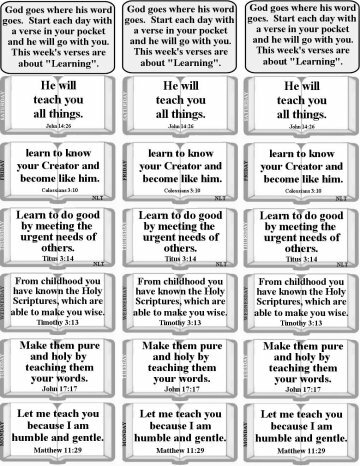 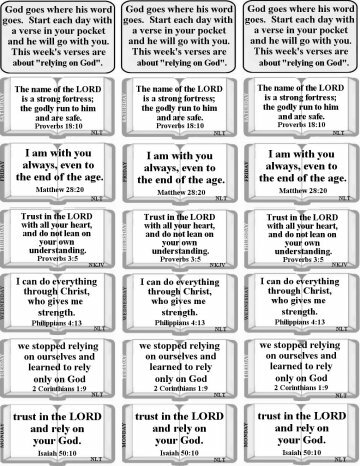 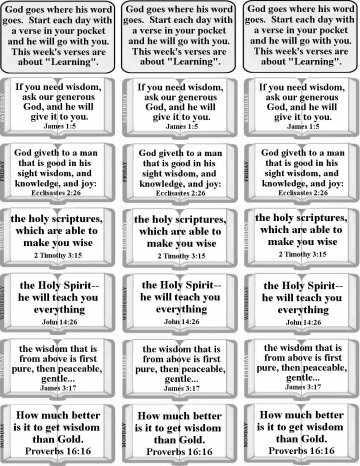 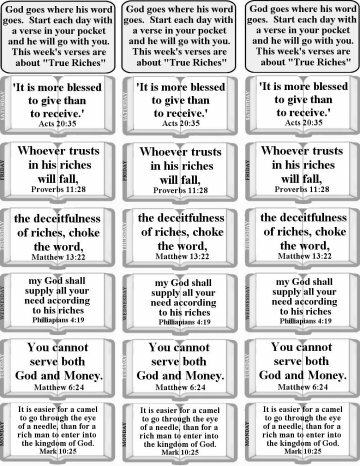 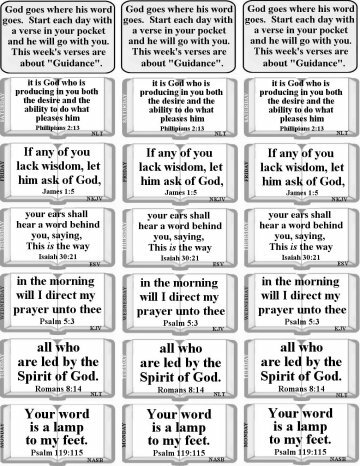 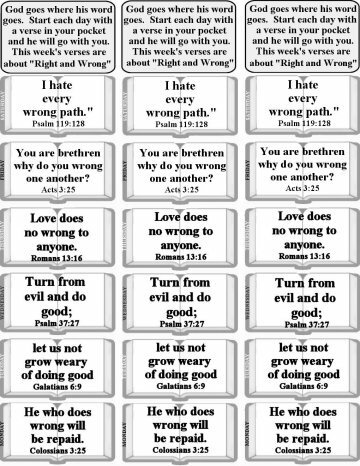 our bulletin inserts and GREAT for Sunday School kids. 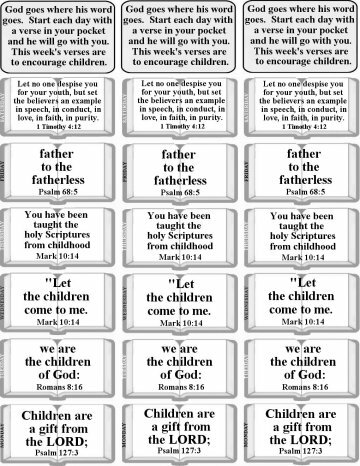 a child the feeling that God is with him. 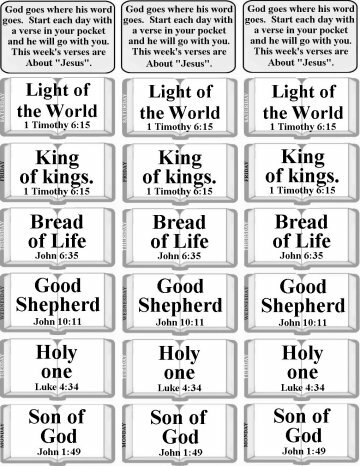 the whole reason God came to earth. 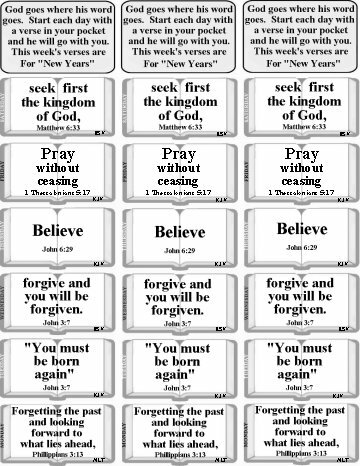 "Verses for the New Year. 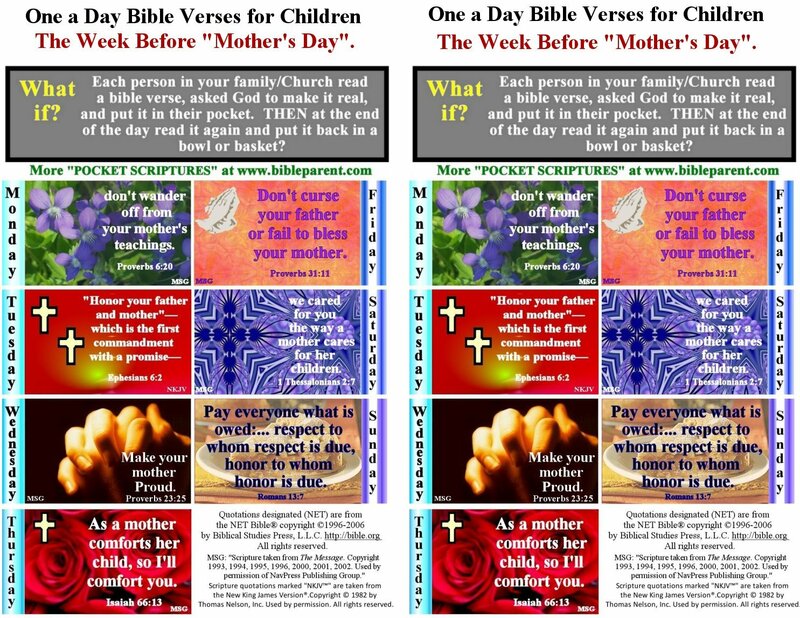 Verses from the King James "
Verses in Spanish/Espanol "para el nuevo ano"
"Surrounding Children with God's word". 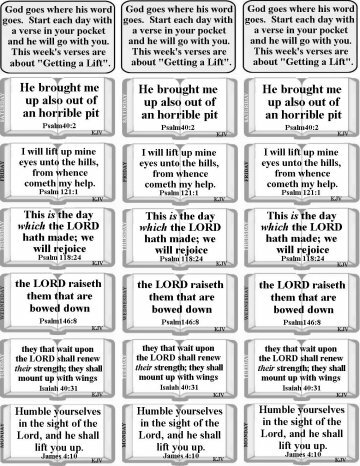 Verses from the King James . 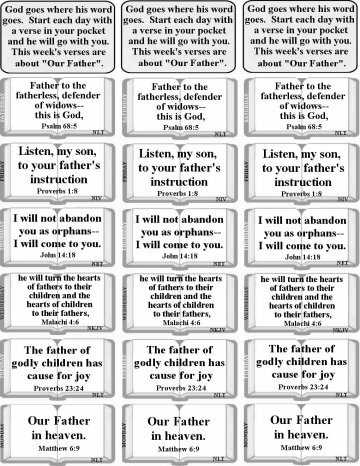 Verses in Spanish/Espanol "Que Rodea a su Hijo"
Verses in Spanish/Espanol "Para Los Padres"
Verses from the King James . " 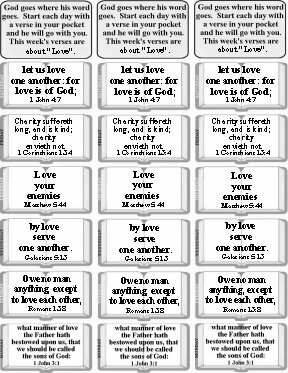 Verses in Spanish/Espanol: "El Amor"
Verses in Spanish/Espanol: "La Iglesia"
Verses in Spanish/Espanol: "Versos acerca de la Esperanza." 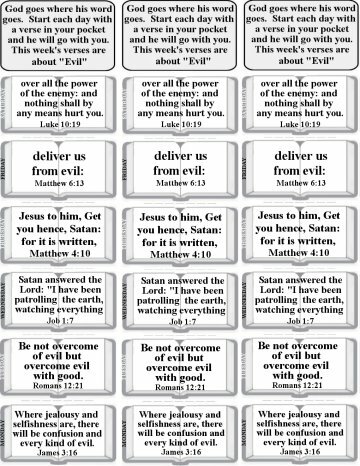 Verses in Spanish/Espanol: "Versiculos sobre de la oracion." 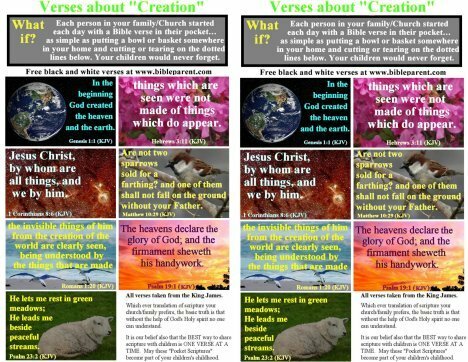 Verses from the King James. 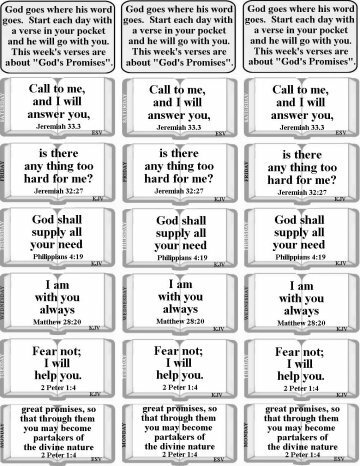 Verses in Spanish/Espanol: "el Espiritu Santo"
Verses in Spanish/Espanol: " versiculos acerca Recodar"
Verses in Spanish/Espanol: "de andar con Dios"
God promises to meet our needs. 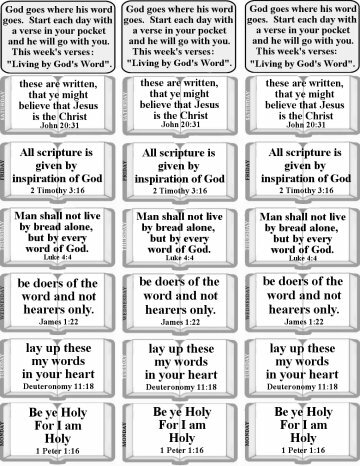 Verses in Spanish/Espanol: "confiar en Dios"
Verses in Spanish/Espanol: "Sobre el Aprendizaje"
best time to share a Bible Verse. 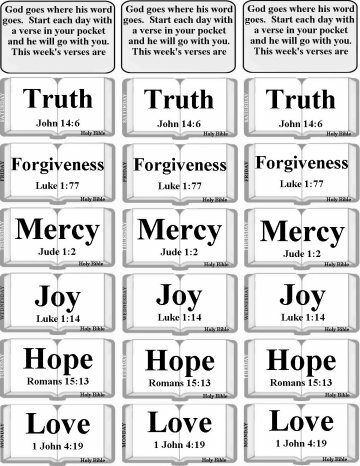 Verses in Spanish/Espanol: "Cuando a compartir?" 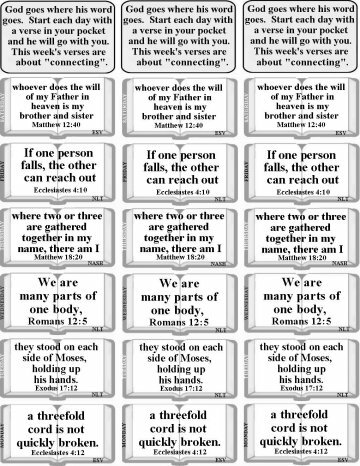 Verses in Spanish/Espanol: "Cuando a compartir? 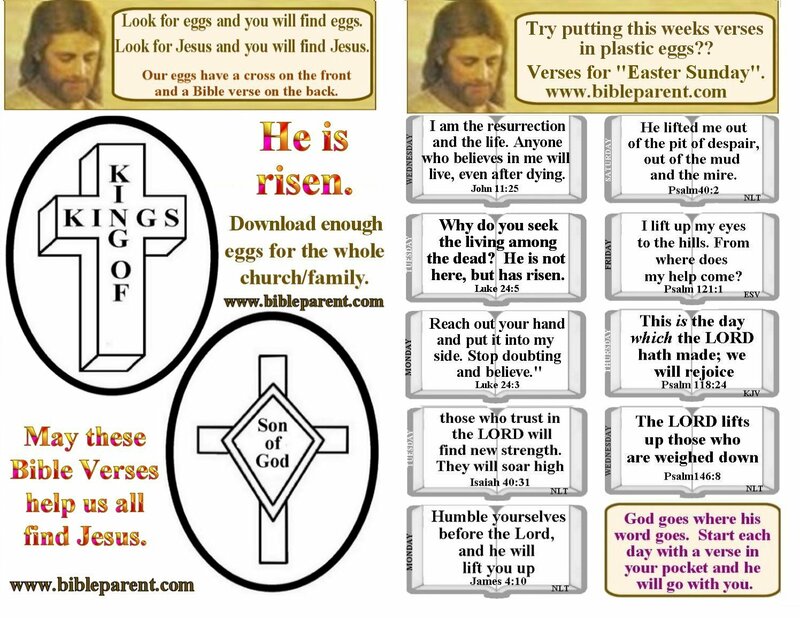 May the whole family share these verses. 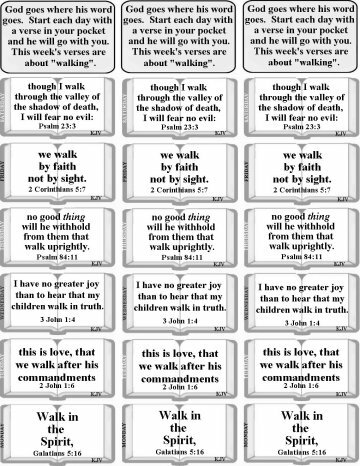 Verses in Spanish/Espanol: "de duda". 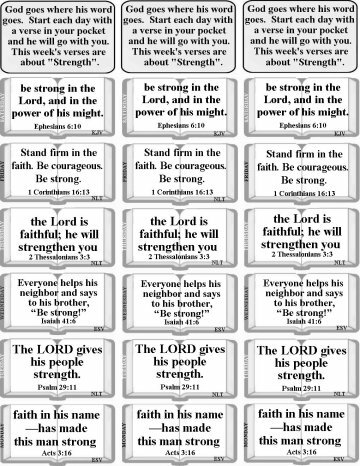 Verses in Spanish/Espanol: ""de fortaleza." 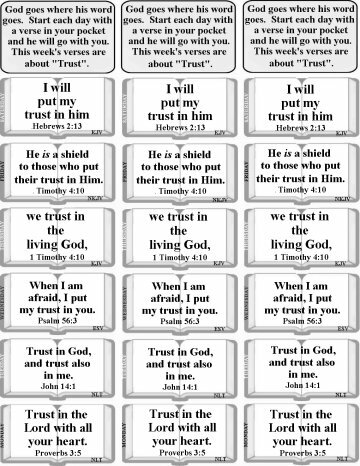 Verses in Spanish/Espanol: "de Dios""
May each verse help us understand and trust God more. 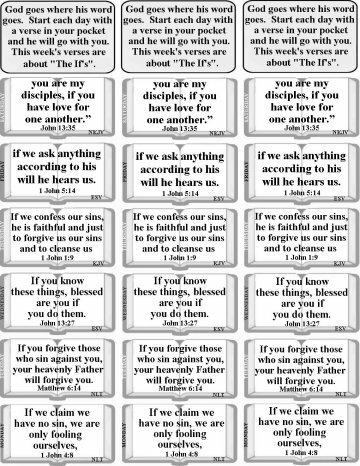 Verses in Spanish/Espanol: "Acerca de la sabiduria". 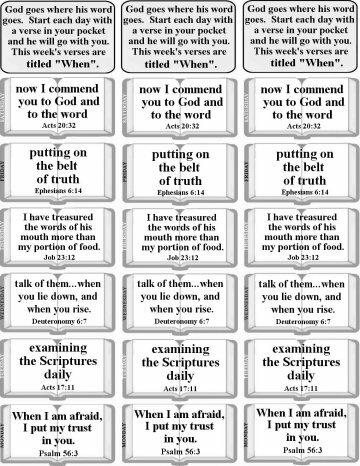 Verses about letting God's word change us. 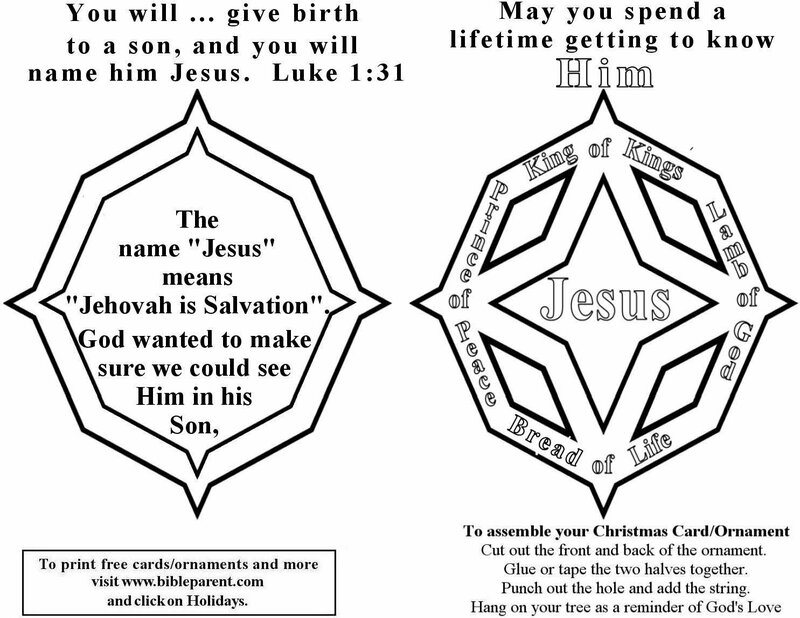 Christmas cards for children to color.